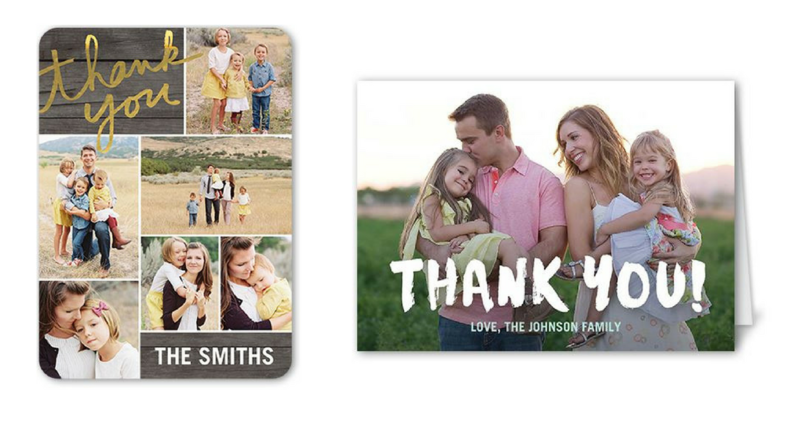 Right now, use a new Shutterfly coupon code and get 12 FREE personalized Thank You cards with custom envelopes! This offer runs through Tuesday (11/13). Choose from 3×5 folded, 4×5, 5×5, 5×7 flat, 5×7 flat foil or 5×7 folded cards in a set of 12. You’ll owe shipping which is around $5.99 makes each card with custom envelope only 50¢ shipped!